Because of its unique characteristics it is often used as a specimen for tropical gardens. 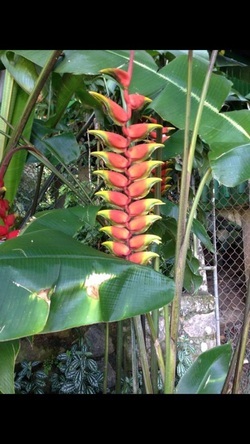 Notice that the leaves of the Heliconia look like the leaves of the banana trees. The kingdom, phylum class and order are the same.